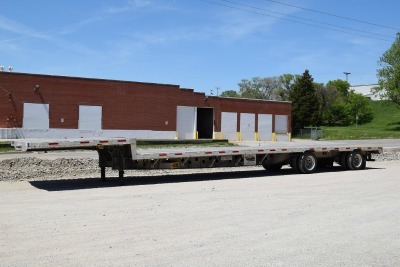 Aluminum and steel trailers with Jerome tie downs and winches, 48 or 53 feet in length. Most trailers are Great Dane, Utility or Transcraft brand. Stepdecks with fold down ramps also available.